After the official released of Android Oreo 8.0 Stock ROM by Google for various Android-powered smartphones and tablets, now the huge list of Android 8 Custom ROMs collection is also available for supported devices. 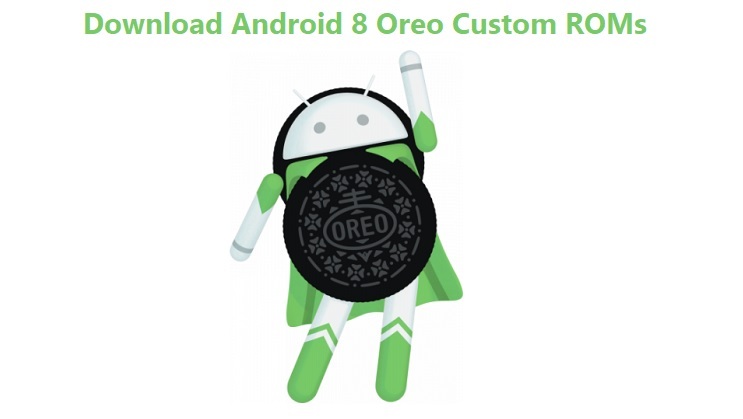 Android Developers have already started their work to provide Android Oreo Custom ROMs to unsupported or officially unreleased Android 8 Oreo ROM by various Android device manufacturers until date. Android ROM is better known for its open source codes, deep customization, and easy personalization. Every day developers introduce latest MODs and newest Android Custom ROMs to provide users better features and functionality changes, which somehow lacks in official Android Stock ROMs came pre-installed. Today, we are sharing all available Download Links of Android 8 Oreo Custom ROMs for Samsung, OnePlus, HTC, LG, ASUS, Sony, LeEco, Lenovo, Motorola, Xiaomi, YU, and many other Android devices. As this is quite an early stage of Android Oreo 8 release, we will try to keep update this article with all newer Android Custom ROM additions as they come out by Android Developers. So you should Bookmark this webpage to get an early Android Oreo Custom ROM for your smartphone or tablet devices. We hope you have already prepared your Android device with TWRP or CWM custom recovery to flash and install Android 8 Custom ROMs easily. You should also backup your device data and apps before doing any kind of ROM installation on your device, as some of these roms are in early beta stage and not fully stable roms. So let's get started with Android 8 Oreo Custom ROM Images available below. We have compiled all available custom roms of different developers from blogs and forums such as XDA etc. All credit goes to the developer of that particular custom rom. We are here just sharing the direct download links from various online sources. NOTE: Here we have shared all available Android Custom ROMs based on Android Oreo 8.0. So if you still didn’t find your Android device in above list, don’t get upset, because we are updating this article continuously on daily basis, so you should Bookmark this webpage, and check back later to find your supported device.